UGH. UGH. UGH. What else can I say? 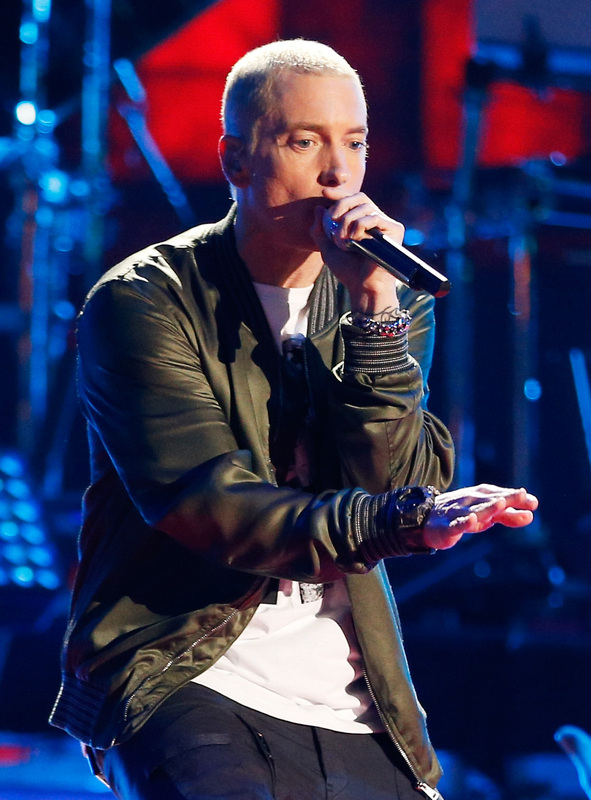 I know this isn't much of a surprise, considering Eminem has never particularly played nice with fellow celebrities (there's even a Wikipedia page dedicated to this fact), or anyone other than his daughter really, but this only sounds like a desperate act to remain relevant by falling back to his old, misogynistic ways. So is there a reason he chose Lana Del Rey in particular? Do they have a past, or is this just typical Eminem babble? I looked into the background and some possibilities. Back in 2012, Del Rey said in an interview with RNB Junk in Milan that when she discovered Eminem for the first time, that he really "changed her life" because she didn't know that music "could be intelligent." She goes on to rave about him and declare how much she loves him. Was this where the star-crossed feud began? Well, if Twitter and the rest of the Internet is any indication, mentioning you'd "punch Lana Del Rey" certainly roused up many heated opinions. Sounds like the old PR machine might just be getting back into gear. He does have that new compilation coming out, ahem. I'm maybe thinking too much into this, but when Eminem made repeated verbal disses on Mariah Carey about their supposed relationship, Carey shot back by writing her 2009 hit, "Obsessed," which was never outright said to be about Marshall Mathers, although the du-rag/hoodie wearing stalker look-alike in the video hinted otherwise. Del Rey has never been shy on singing about her wayward love affairs, so maybe this could be a time for her to take this negative press and use it as inspiration for herself. As much as I'm not a fan of his misogynistic lyrics and general persona (sorry, Eminem fans) sometimes when you're freestyling, things just come out. And I say this because I can't really find any concrete context for this specific call out to Lana Del Rey — like them ever even meeting. Maybe he is crushin' on her and is flirting with her in a really twisted way. I wouldn't put that past him, considering his past with Christina Aguilera, who he famously dissed after she apparently "rejected" him. Either way, none of it is really acceptable, because she wouldn't owe him anything.